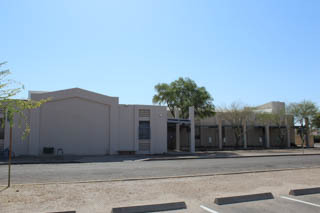 Refurbish/repair/renovate this off-campus building as required to provide administrative space for University of Arizona Health Sciences programs that will be relocating from the UAHS medical campus as part of the UA/Banner University Medical Center initiative. As part of the College of Veterinary program, existing facilities are being renovated to provide equine treatment. 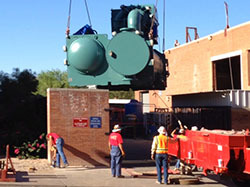 Facility modifications for new wind tunnel in AME . Design of vent stack has commenced. work to locate water line that will be relocated is started. Soils report for stack base is in preparation. Waiting for final tunnel layout from installer. Convert existing space on level 1 of AME into a maker/lab space for the Medical Device Design Experience. 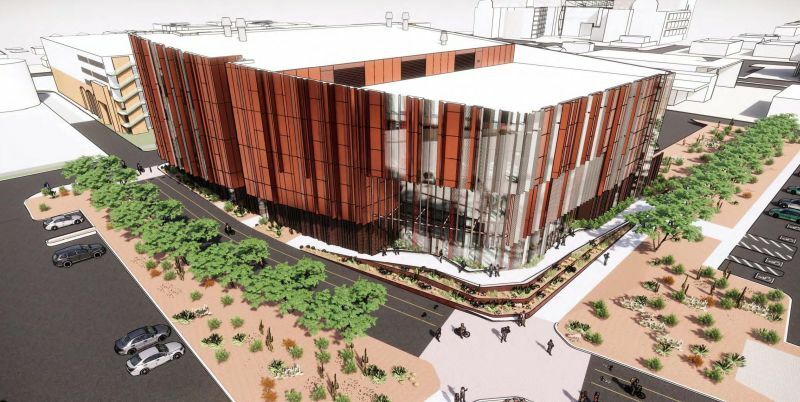 The new facility is envisioned to be an approximate 60,000 GSF multi-story building with a mix of space types including high bay areas, varying types of laboratories, clean rooms, faculty offices, and conference rooms. Design Build Team selection process is underway, with an anticipated selection expected by the end of mid-May 2019. 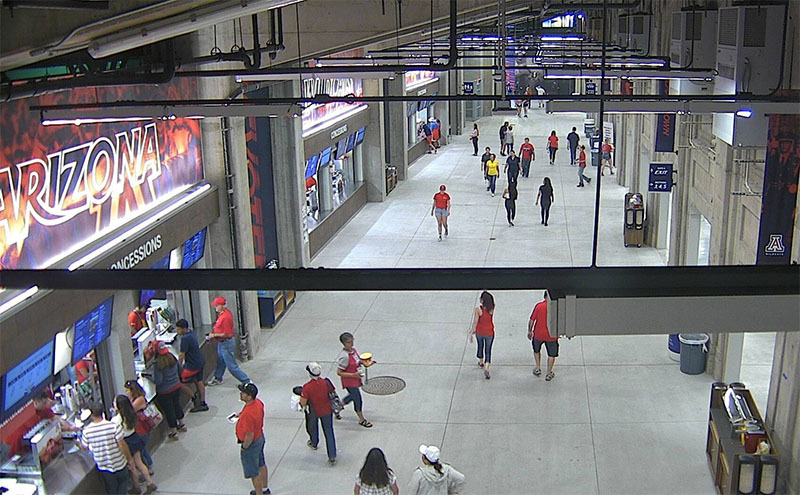 Interior renovations (finishes and furniture) to center area of the skybox suites. The Design phase is in-progress. 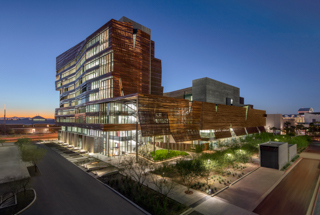 This facility is located on the Phoenix Biomedical Campus and includes research space, wet and dry laboratories, and related core facilities. This project will build out shell space in the basement of the new BSRL building for Health Sciences CGRI instrumentation equipment. 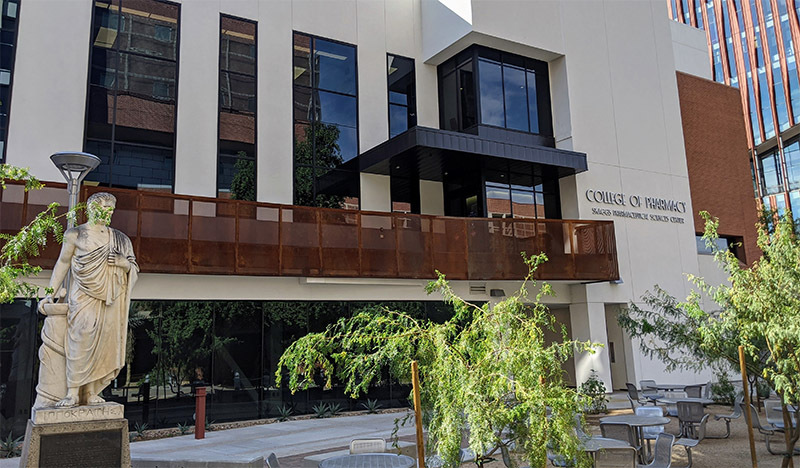 CAPLA has recently completed the pre-design Programming that is aligned with the College's overall Strategic Plan, with the goal being to improve space utilization and provide academic facilities that will enhance learning and support the growth of academic programs. 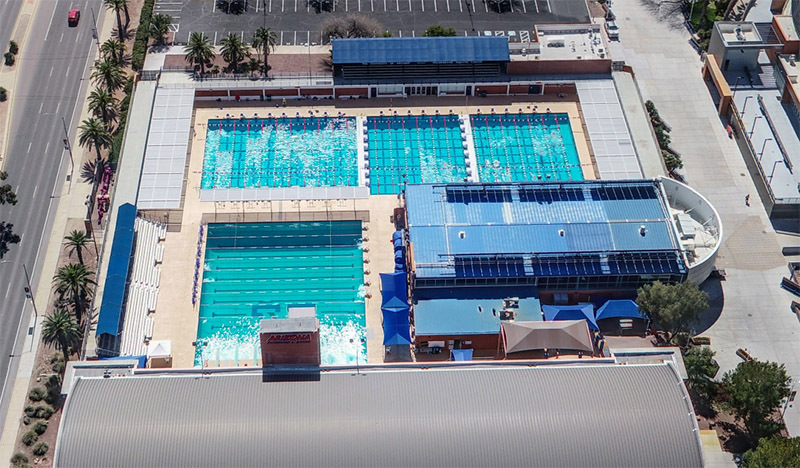 CAPLA would now like a review of the Master Plan, a re-configuration of the entire space planning as Programmed and developing a full Schematic Design of the entire existing CAPLA West building and may incorporate parts of CAPLA East Building. The first phase of the project will then be identified. Future phases will be contingent on the availability of funds. RFQ process for Design Professional Services is ongoing. Interviews have been scheduled. 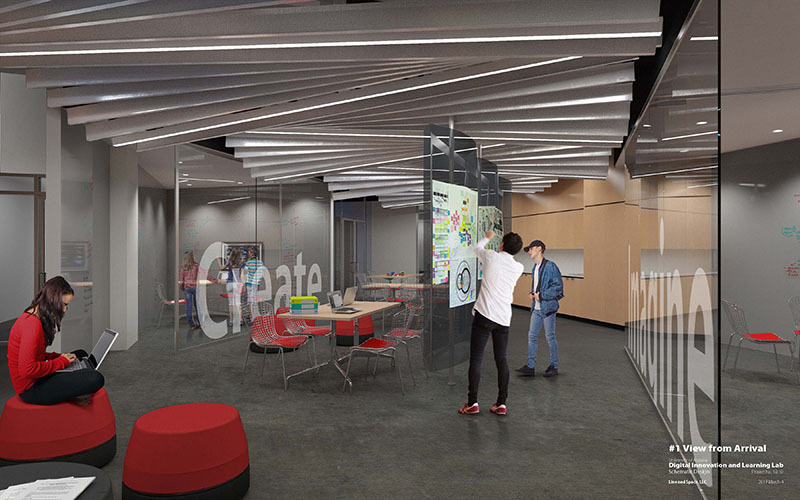 In order to improve space utilization and provide facilities for increased program growth, CAPLA plans to reconfigure the current CAPLA West spaces for improved efficiency with a view to increase student studio and research spaces and also provide active learning and collaborative classrooms. Programming, Master planning and Phasing diagrams are complete. ACM remedial spaces to be determined and abated. 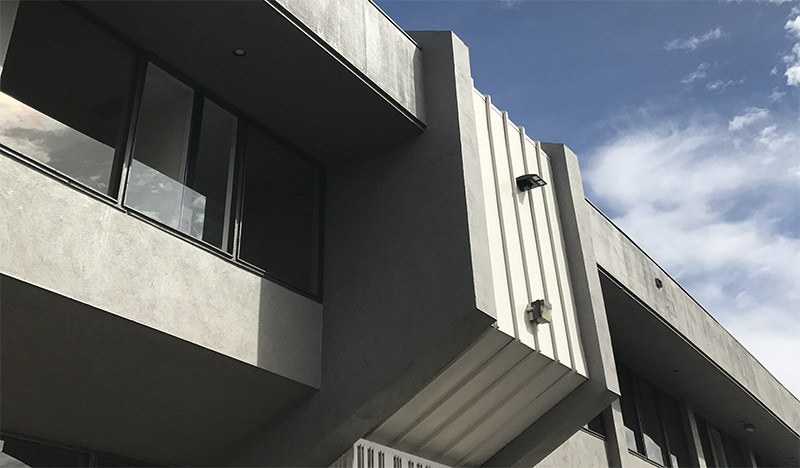 Conversion, restoration and renovation of the historic Castro House from a residential use to The Raul H. & Patricia M. Castro Center for Border Studies and Outreach. Renovations to include a community education center and library that will engage the community and promote collaboration and sharing of resources. 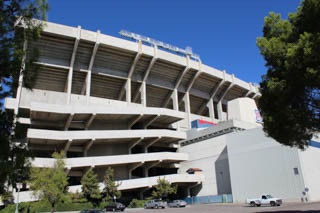 Accessibility upgrades are planned for the site and within the building. 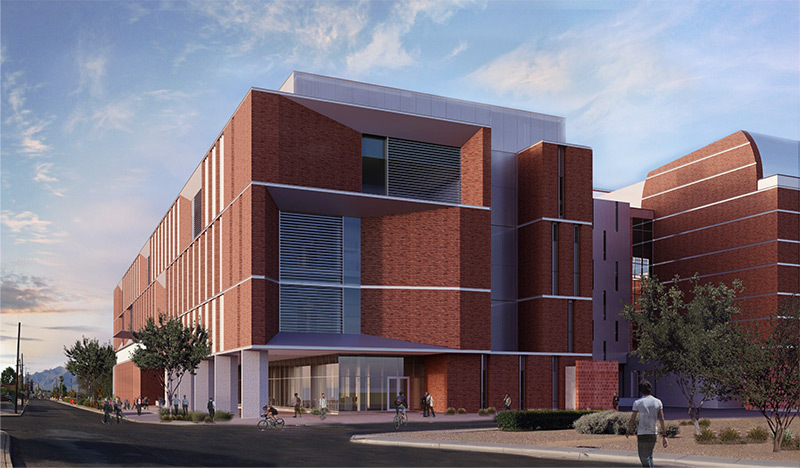 A new facility for the Arizona Center for Integrative Medicine (CIM) that will facilitate the fundamental goal of creating a physical environment that supports the philosophy of integrative medicine. RFQ process for Design Professional services is ongoing. Final List Meeting has been scheduled. 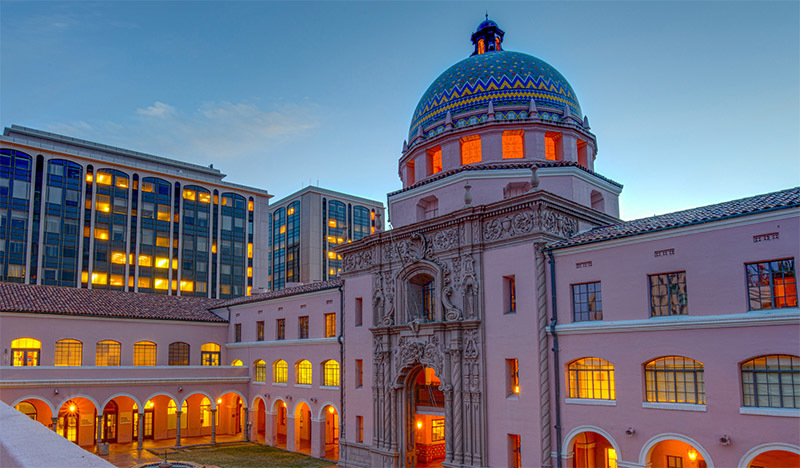 Renovate the centrally located, historic Old Chemistry Building into an innovative teaching hub, that supports evidence-based teaching strategies (collaboration, inclusive practices, and active learning). The project is Initiative 1.3B1 of the UA Strategic Plan. Deferred maintenance, life safety, accessibility, code upgrades, and sustainability will also be addressed. Pre-design planning is in progress. In order to improve the Trial Advocacy learning experience, the College of Law will be renovating Class Labs 118, 126 and 146 into a single large Mock Courtroom. Conceptual Design is complete and being packaged together with marketing materials. In recognition of Richard D. Grand contributions, the College of Law is naming their main (grand) staircase in his honor. The project will construct a Memorial Exhibit Case that will house Richard D. Grand memorabilia. 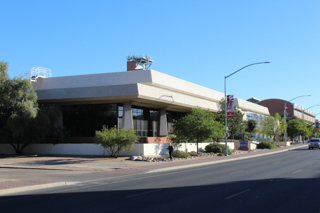 Remodel of 2nd floor east half of Building 1 on the Phoenix Biomedical Campus to accommodate new administrative offices for Eller Executive and Evening MBA programs. 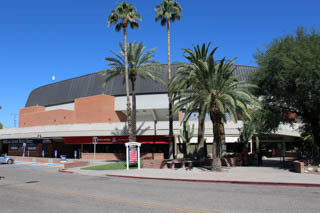 This project involves the installation of a distributed antenna system (DAS) within McKale Memorial Center to improve cell service during events. The College of Education (COE) will create a multipurpose Digital Innovation and Learning Lab (DIALL) that will extend research capacity and offer opportunities for K-12 students, pre-service teachers, and COE faculty to collaboratively explore activities such as producing digital media, creating digital stories, exploring gaming interfaces, learning coding skills, accessing online information, creating podcasts, designing stop-motion animation shorts, and exploring programming. Conceptual Design together with marketing materials is complete. Demolition and new carpeting by UA Facilities Management is complete and Taping of floor to show proposed layout is now complete. In order to grow their outreach programs, the College of Education and the College of Humanities are partnering to renovate existing Seminar Rooms 110/111 to better serve the University outreach mission and also create a stronger connection with the Schaefer Poetry Center. Conceptual design is near complete. 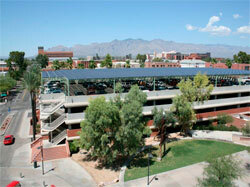 Installation of Photovoltaic panels and roof top gardens. Resolving scope and budget challenges. JOC Contractor is pricing options. 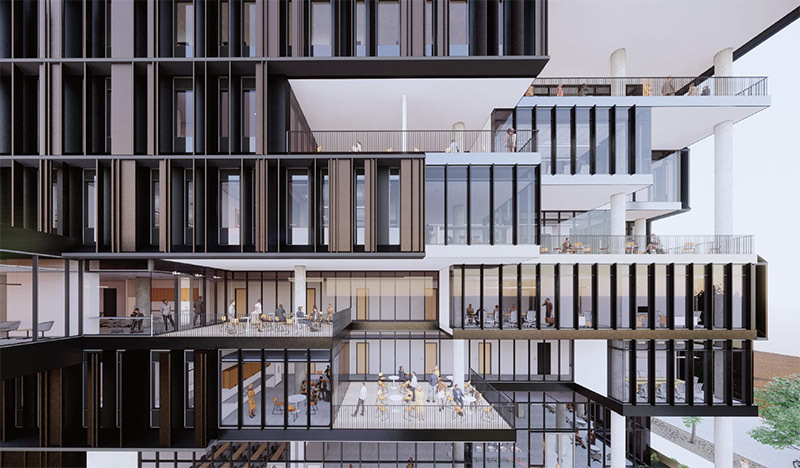 The Grand Challenges research building will be an interdisciplinary facility providing new wet and dry laboratory space for growth of research programs. 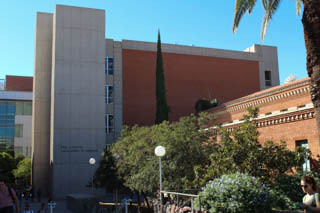 The building is envisioned to be a nine floor building located on the main campus. This project is in the pre-planning phase. This Tenant Improvement project in the Health Sciences Education Building will include a regional Simulation Center, completion of a Lecture Hall, administrative space, a Presidential Suite and the possible inclusion of classroom/Learning Studio space. Projects 13-9182 (HSEB, Finish Shell Space), 13-9206 (HSEB Finish Shell Space UA), and 13-9207 (HSEB Finish Shell Space NAU) will be covered under this description. 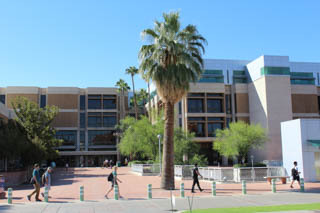 The building on the Phoenix Biomedical Campus (PBC), 435 N. 5th Street, Phoenix 85004, includes flexible classrooms and state-of-the-art educational facilities, such as, simulation laboratories, gross anatomy facilities, preclinical training, learning resource center, student services and faculty office administrative space. 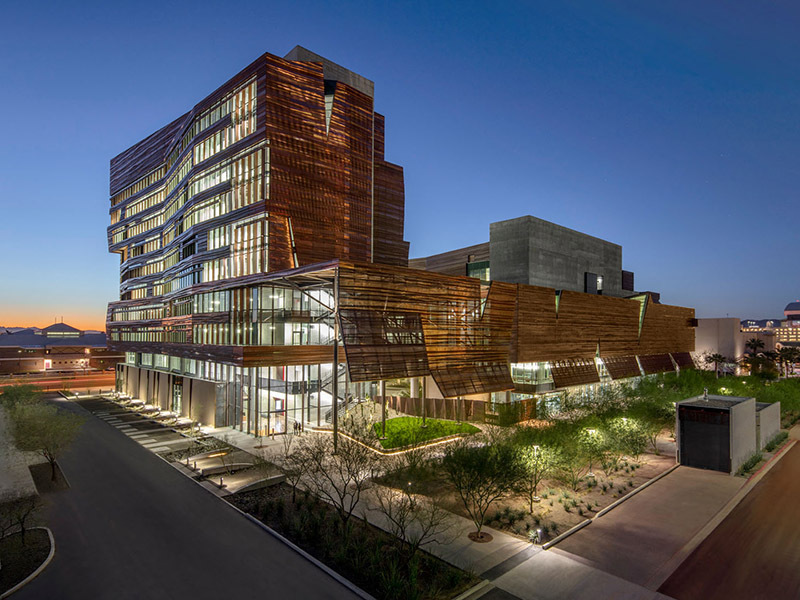 The HSEB creates an iconic identity for the University of Arizona School of Medicine on the Phoenix Biomedical Campus and responds to its urban locale and desert environment. 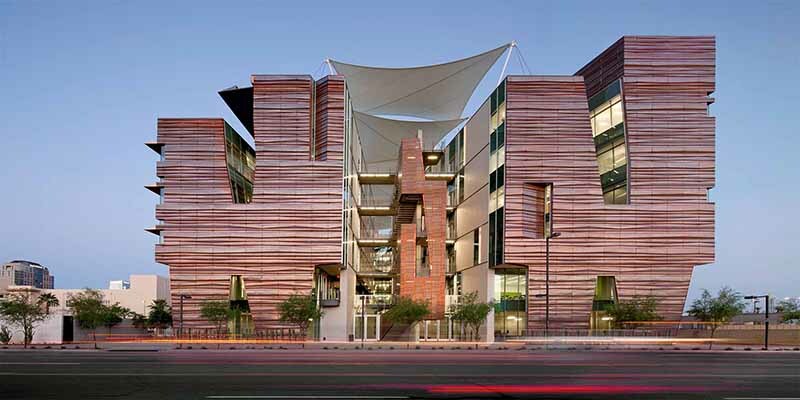 The Arizona desert climate and need for reduced energy consumption informed much of the design, from the way the building is sited at its location to the type of fenestration and the innovative cooling methods used. 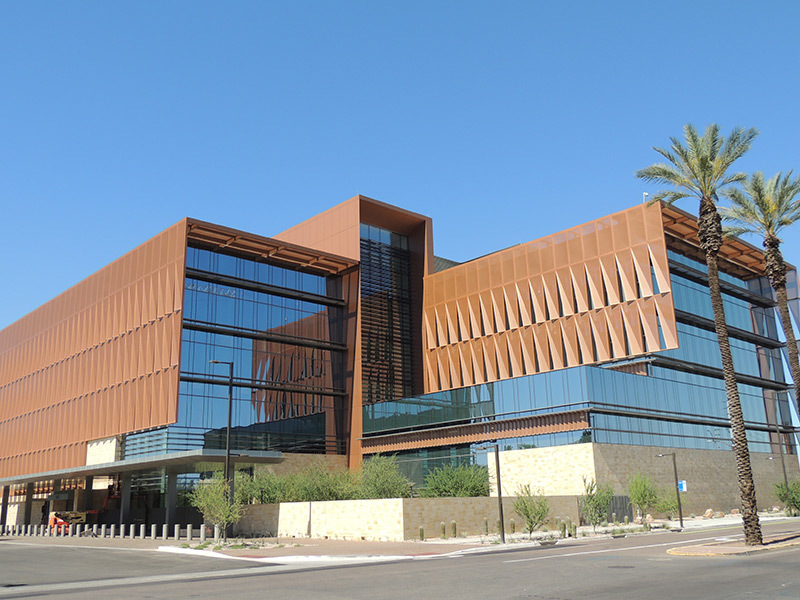 Inspired by the iconic canyon formations found throughout Arizona, the façade reinterprets stratified earth layers revealed over time as a copper sunscreen protecting the exterior building enclosure from direct solar exposure. 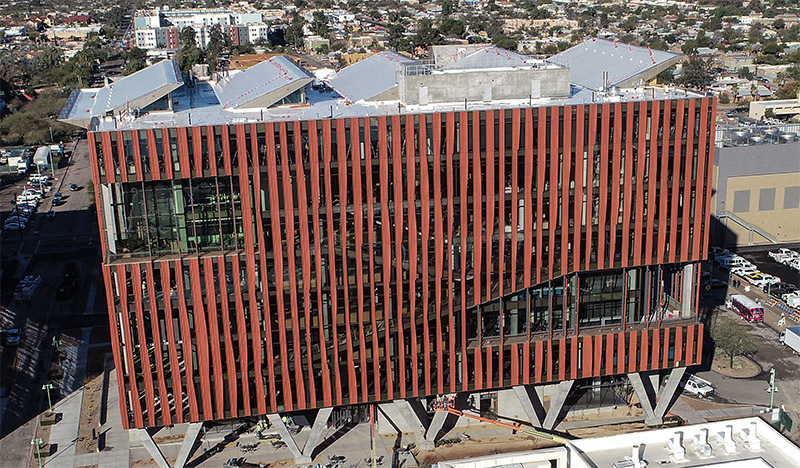 Akin to the natural forces that shape the Earth’s geology, the copper skin is fissured, formed, bent, pressed, and perforated, creating beauty from a functional building need. 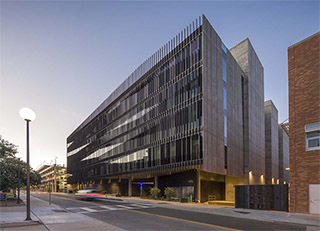 The architectural design promotes physical connectivity to the downtown Phoenix community with indoor and outdoor spaces that encourage interaction. 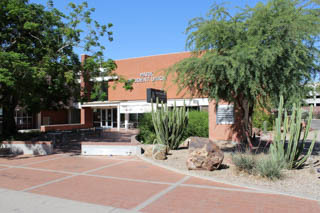 Project consists of the remodel of the existing occupational therapy rooms in the Health Science Education Building to accommodate new equipment that is being purchased by Northern Arizona University. The apartment units in the Graduate Housing facility will be renovated, including finishes, casework and fixtures. 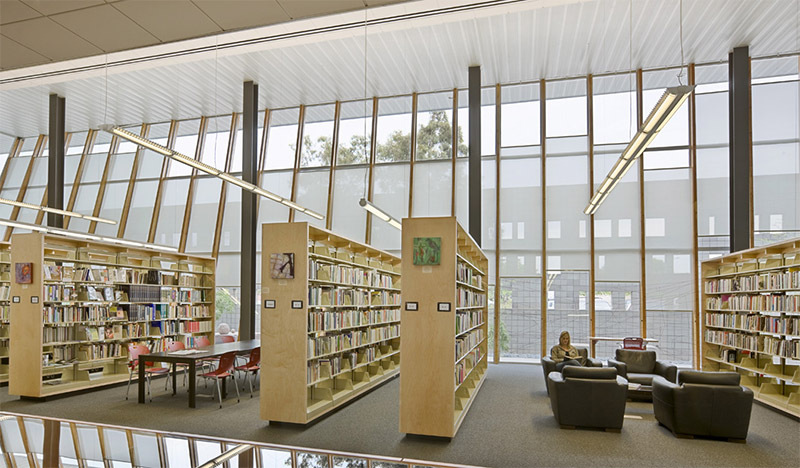 Renovation to portions of the 1st & 4th Level pods of the Main Library to accommodate reorganization of library staff. Phase 1 renovations include areas on the 1st & 4th Level of Main Library and a portion of the 1st Level of Science Engineering Library. 5th Level Renovations and upgrades to toilet rooms on 3rd, 4th & 5th Level of the Main Library are anticipated for Phase 2. Construction is underway. 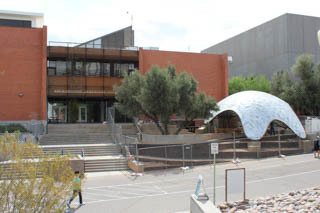 Two phases of construction renovation are planned: Phase 1 - inside the Main and Science Libraries has completed. Phase 2 - will occur Summer of 2020. Original project was competed in 2016 and this Phase 2 project will now extend the rails for the field scanner gantry north 175.6M (576.1') and complete associated extensions to the power, lightning protection, telecom, irrigation, fencing and security systems. 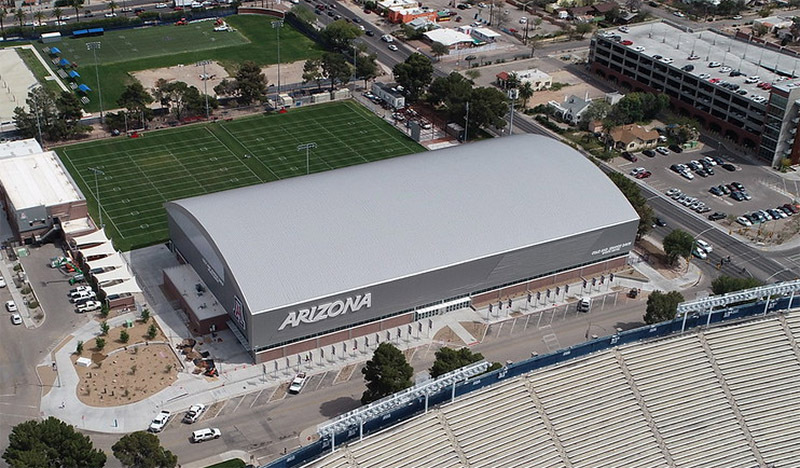 In order to improve student athlete support areas, Intercollegiate Athletics (ICA) will be adding 4 new locker rooms and remodeling 2 existing locker rooms. 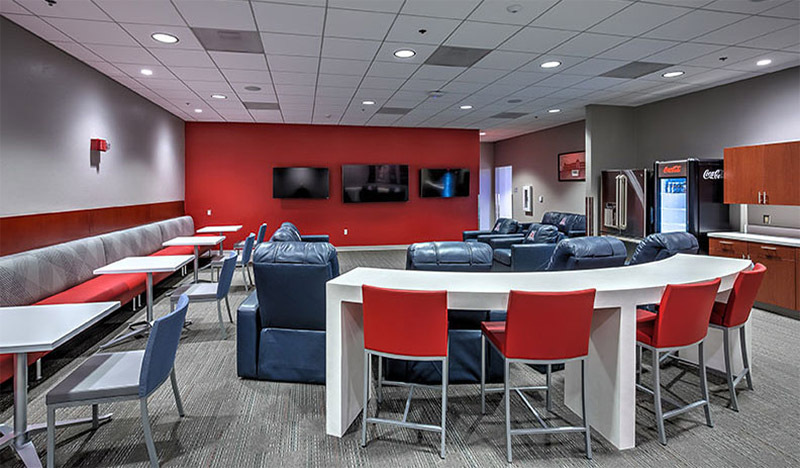 The remodeled spaces will be complete with lounge/team areas, kitchenette, etc. Provide a racking system to facilitate the safe and secure storage of three 8.4 meter mirrors. 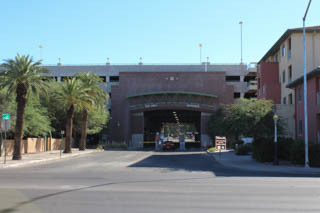 In 2013, a "Conditions Evaluation and Preventative Maintenance Report" was issued for all of the parking garages on Campus including the Highland Avenue, Park Avenue, Tyndall Avenue, Sixth Street, and Main Gate Garages. This project will address all of the needs that were identified in that report to repair and maintain these five garages in 2017. The actual repairs and maintenance will be done in the summer of 2017. This work will assure that these five garages are maintained in good condition and remain serviceable for the foreseeable future. North Campus Infrastructure is a multi-stage, multi-element project which will expand the University's existing infrastructure including, but not limited to mechanical; electrical; telecommunications utility distribution systems; central plant heating, chilled water and potable water production; sewer and surface drainage to support the new Bioscience Research Lab Building, the proposed Engineering Innovation Building and future campus growth. 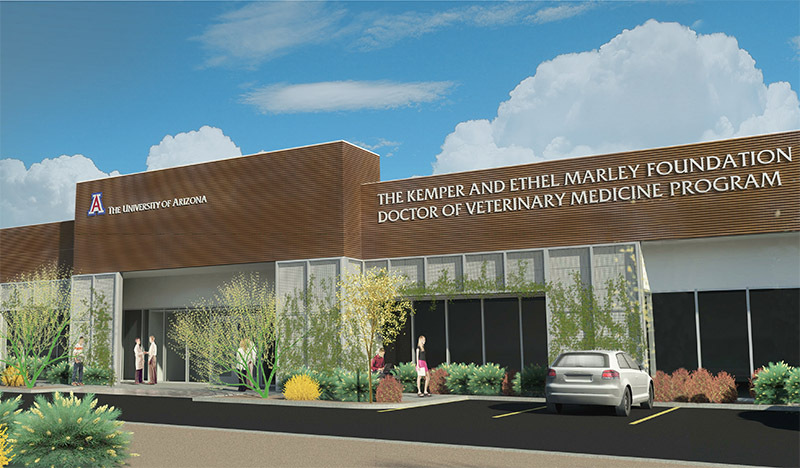 The Oro Valley Veterinary Medicine Facility will be the administrative and pre-clinical training headquarters for the University of Arizona's College of Veterinary Medicine program. This project will provide the renovations and equipment to facilitate the necessary programmatic areas to support student teaching, learning and hands-on experience. 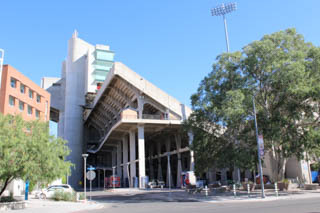 Demolition is complete, renovations are in progress. Four parking lots at various locations around Campus are in need of repaving, restriping and landscape improvements to maintain their safety, functionality and appearance. 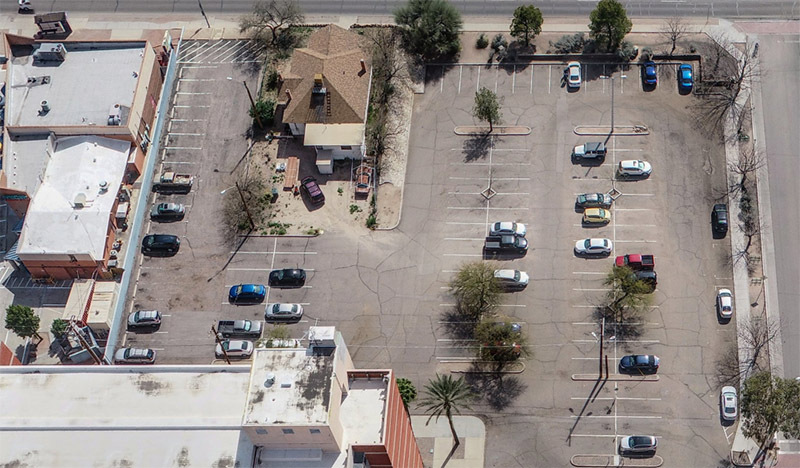 The lots are: 3140 at 2nd and Mountain; 2152 at Helen and Campbell; 5067 at 4th and Tyndall; and 5073 at Park and South Campus Drive. 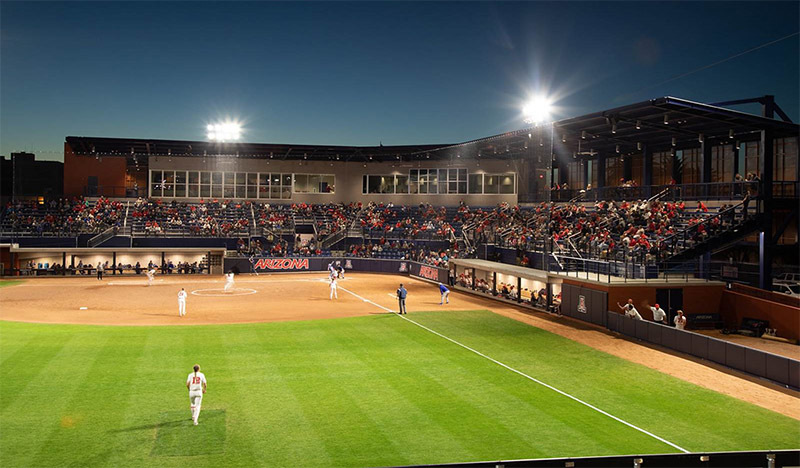 Additionally, lots 8178 and 8179, east of the Student Recreation Center field, will be expanded and improved. Pave and stripe Lots 7102, 5083 and 5072. Seal coat and stripe Lots 7103, 2029, 7156 and 7228. 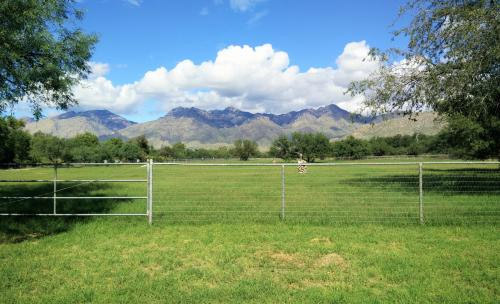 Landscape Lots 7102, 7103 and 2030. Add motorcycle parking to Lot 5084. 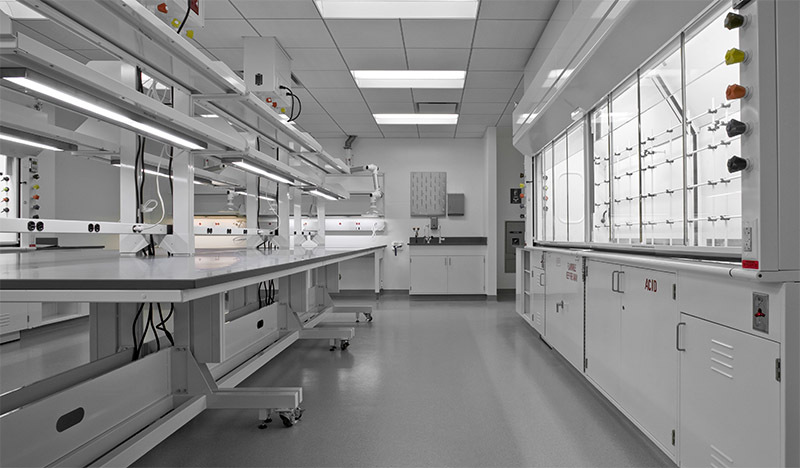 Remodel of an existing chemical fume hood area into a tissue culture room on the 4th floor of the Arizona Biomedical Collaborative Building 1. Work involves removing existing chemical fume hoods, and installing biosafety cabinets in its place. Work also involves relocating doors, repairing finishes, and adjusting air balance. 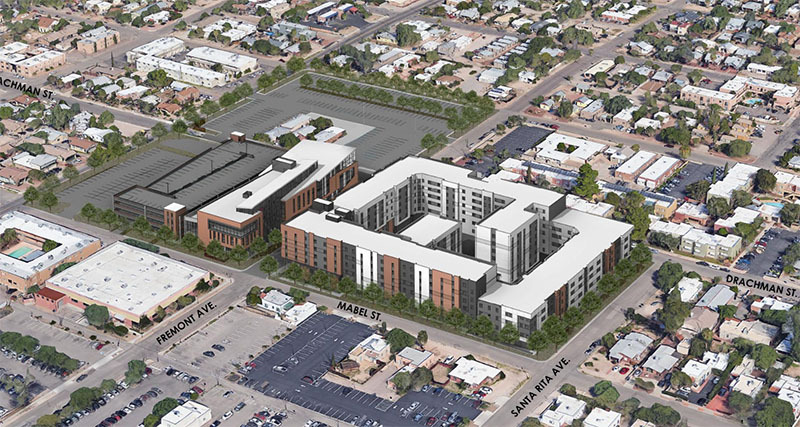 Feasibility study for the single family houses, duplex and the commercial property on the Phoenix Biomedical Campus. 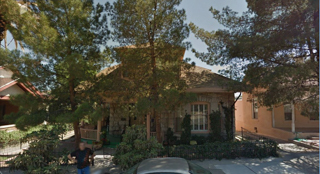 Demolition for existing commercial building, and the two single family houses has been completed. Study is ongoing for duplex property. The fit out of the 3rd and 4th floor shell space of Biomedical Sciences Partnership Building into additional wet lab space on the Phoenix Biomedical Campus. 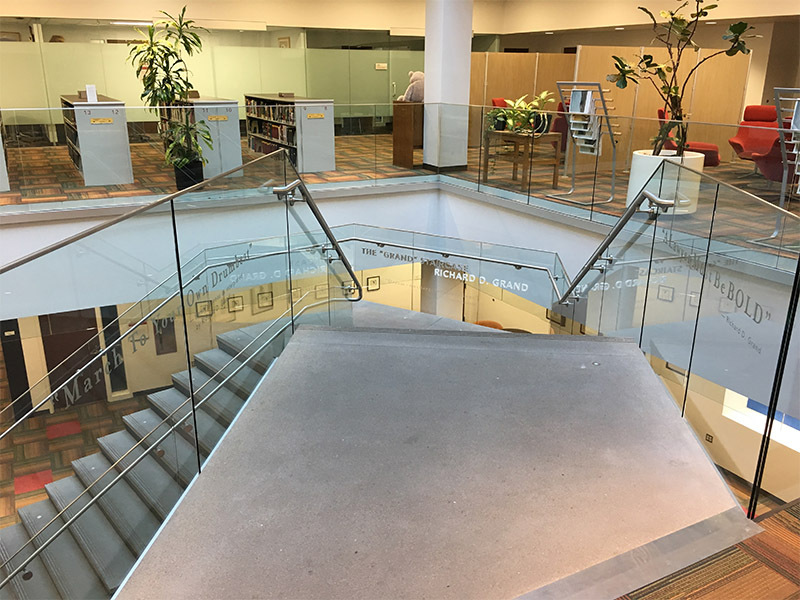 In order to address continued program growth as well as review existing inefficiencies in space usage, the Poetry Center intends to remodel Reading Area 101 and Display 101B for optimal exhibit space arrangement and seating utilization. Fee negotiations with top ranked firm is complete. Project about to kick off. Construction of toilet rooms, along with other building system upgrades and building modernization for tenant improvements on the 1st and 2nd floors. Phase 1 of construction will renovate the main public area on the 1st floor, new toilet rooms, and 2nd floor business startup / incubator space. 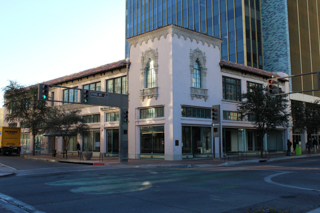 Phase 2 will renovate tenant fit-out areas on 1st floor; office areas, conference rooms, and public areas on 2nd floor. Relocate the University's Fine Arts Letter Press Program across Mabel Street into the Visual Arts Grad Lab (Bldg. No. 197). The new Honors College is consuming the site of the old Letter Press studio. A solar/sustainable initiative is underway that is being facilitated through the University's partnership with AMERESCO to advance solar technology awareness on campus and throughout the community. 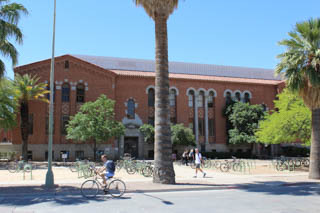 Through this initiative solar installations are planned for Second Street Garage, Student Recreation Center, McClelland Hall, McClelland Park, Hillenbrand Aquatic Center, Red Rock Ag Center, Campus Ag Center, Controlled Environmental Ag Center, West Campus Ag Center, Ville Del Puente Res Hall, and Posada San Pedro Res Hall. 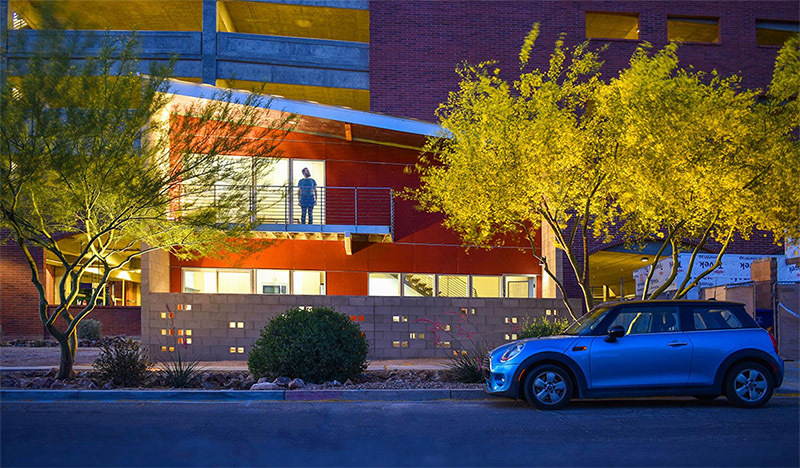 This five-level parking structure with 915 parking spaces is conveniently located south of 6th Street near student housing and athletic facilities. 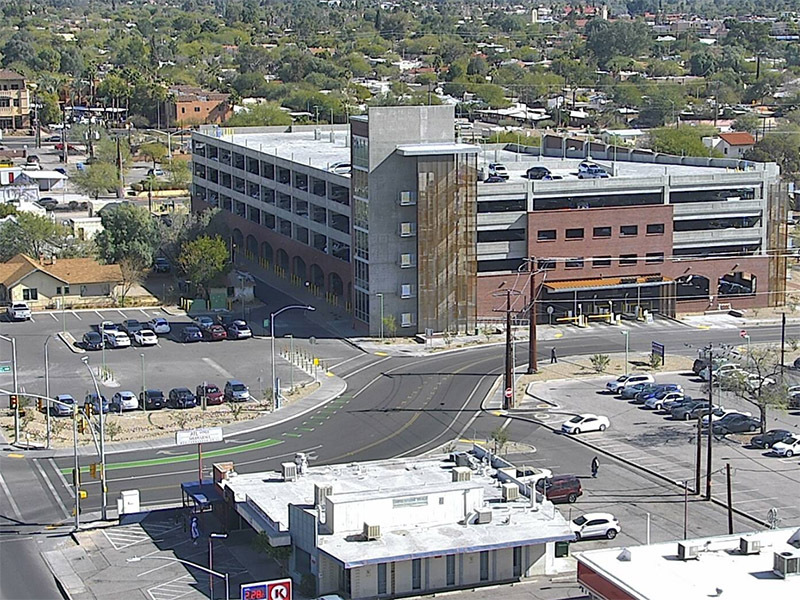 The 6th St. & Warren Ave. intersection was redesigned to align with National Championship Drive to the north and includes a new traffic signal, sidewalks and bike lanes which are expected to greatly improve traffic flow throughout the area and increase efficiency and safety. 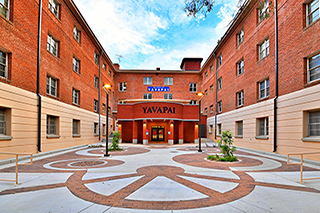 This CAPLA student design-build project will provide new faculty/staff temporary housing. Six proposed rowhouses will be located along Seventh Street, adjacent to the South Stadium Parking Garage. The rowhouses are planned to be constructed one at a time, phased over seven years. Construction of the first rowhouse unit is underway, with completion of the building shell by the Spring 2019 semester class. The Fall 2019 semester class will complete the interior work. 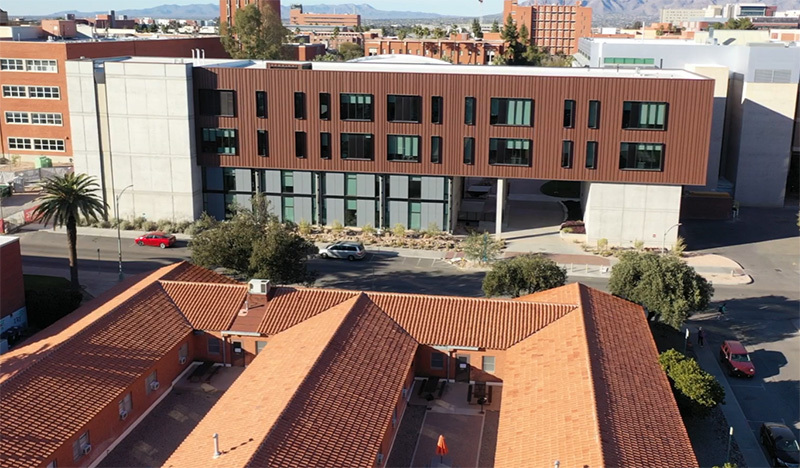 The College of Social and Behavioral Sciences intends to conduct roofing repairs and remedial work on these three buildings which are part of their Southwest Center program. 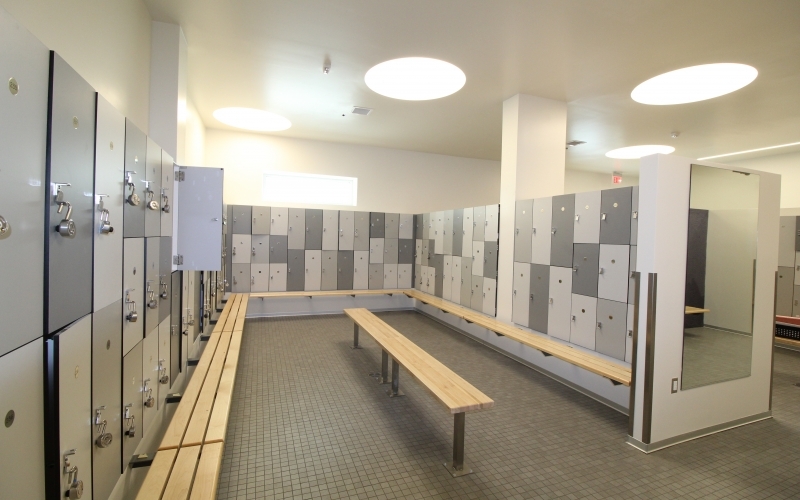 This is a comprehensive locker room remodel to achieve greater inclusivity for all Recreation Center patrons, as well as update the 25 year old facilities with more contemporary design features and finishes. 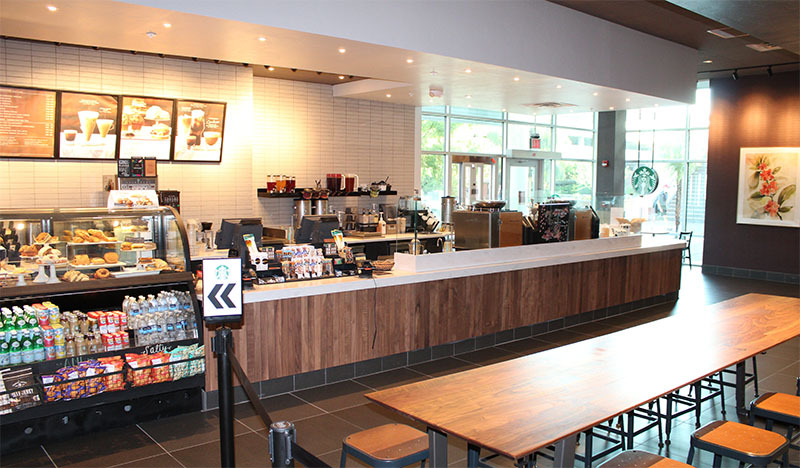 In order to improve student food service and retail experience, UA Bookstores will be reconfiguring and expanding the existing Starbucks shop. This new facility provides the highest quality cancer research and care with an evidence-based, multi-disciplinary model, along with the modern technologies, and a compassionate patient-centered approach. 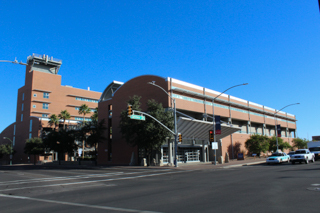 The building is located at 625 N. 6th St, on the northwest corner of Fillmore and Seventh Streets on the downtown Phoenix Biomedical Campus. 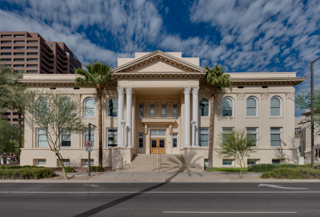 Renovations to portions of the existing building will accommodate relocation of UA Global’s customer facing functions as the first phase of creation of UA Global Center, which will serve as a hub for international activities on campus. The project is Initiative 4.2C4 of the UA Strategic Plan. The Design Phase is underway. Fit out of Level 10 in BSPB for new administrative offices for the College of Medicine Phoenix. Final interior finishes are being installed. Ceiling grid and wood ceiling panels are nearing completion. Final paint has started. Flooring installation is complete. 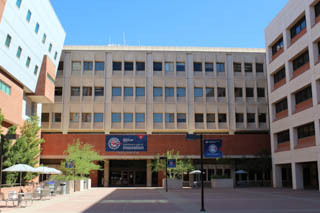 As part of the University of Arizona/Banner Health initiative, a number of UAHS departments need to be relocated. 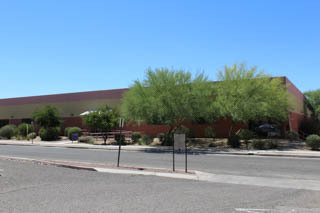 To facilitate this phased relocation effort, existing space on multiple levels in Building 201 will be renovated to provide the administrative and ancillary support associated with UAHS departments. This project is to upgrade the existing IT Data Network Hubs for a systems upgrade to 100GB network. 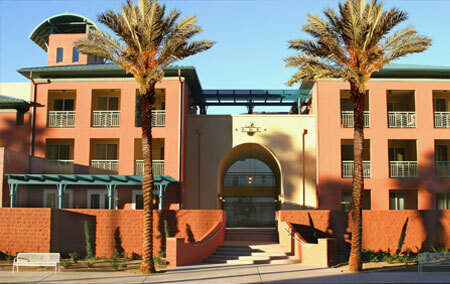 This project will upgrade/replace the existing building’s Mechanical, Plumbing and Electrical systems. In addition, overall building accessibility will be improved via installation of an elevator and the creation of accessible rooms. RFQ responses due April 25.